Governor Andrew M. Cuomo today announced the new National Comedy Center, the first non-profit cultural institution and visitor experience dedicated to comedy, is officially open in Jamestown, Chautauqua County. The $50 million state-of-the-art museum is dedicated to telling the vital story of comedy in America, and celebrates comedy's great minds and unique voices, from Charlie Chaplin to Dave Chappelle. The National Comedy Center is presenting a weeklong celebration of comedy performances and dialogues to commemorate the grand opening, which coincides with the annual Lucille Ball Comedy Festival, featuring more than 50 events including appearances by comedy greats such as Amy Schumer, Lewis Black, Lily Tomlin, Fran Drescher, W. Kamau Bell and original "Saturday Night Live" cast members Dan Aykroyd & Laraine Newman. The new National Comedy Center will serve as a tourist attraction and an economic game changer for Chautauqua County and the Western NY Region. Project Chairman Tom Benson said, "Eight years ago, a small group of incredibly hardworking and dedicated people had the dream of making Jamestown America's home for comedy through the creation of the National Comedy Center. Due to the perseverance and blood, sweat and tears of that amazing group and the support that we received from our capital funders, including Governor Cuomo and New York State, this dream has become a reality that will change the face of Jamestown and provide long lasting economic benefits for all of Western New York. We have made the transition from people laughing at us to laughing with us and it feels great." State Parks Commissioner Rose Harvey said, "With Allegany State Park and hidden gems such as Midway and Long Point state parks nearby, the opening of the National Comedy Center will be an additional tourism boon to New York's Western Region," said State Parks Commissioner Rose Harvey. "This wonderful transformation is truly a special attraction that will surely be a place that will draw an international audience and will be something of great pride for all." Since taking office 2011, Governor Cuomo has made unprecedented investments in the tourism industry throughout New York State, leading to historic levels of visitors and direct spending. In 2017, New York welcomed a record 243.8 million visitors who spent $67.6 billion, generating a total economic impact of more than $100 billion for the fourth straight year. Additionally, tourism is the state's third largest employer, supporting 938,800 jobs annually. Senator Catharine Young said, "America's newest and most exciting destination is the National Comedy Center, a one-of-a-kind, spectacular showcase for the art of comedy that will put Chautauqua County on the map and provide an unforgettable experience for visitors of all ages. Inspired by Jamestown's own comedic heroine, Lucille Ball, and developed by internationally renowned cultural and interactive design firms, this world-class venue is poised to transform the economy of our historic city with a projected $23 million impact while placing Jamestown on the "top destinations" lists of travel reviewers everywhere. The path to this moment was forged by many dedicated leaders working in partnership towards a remarkable goal. 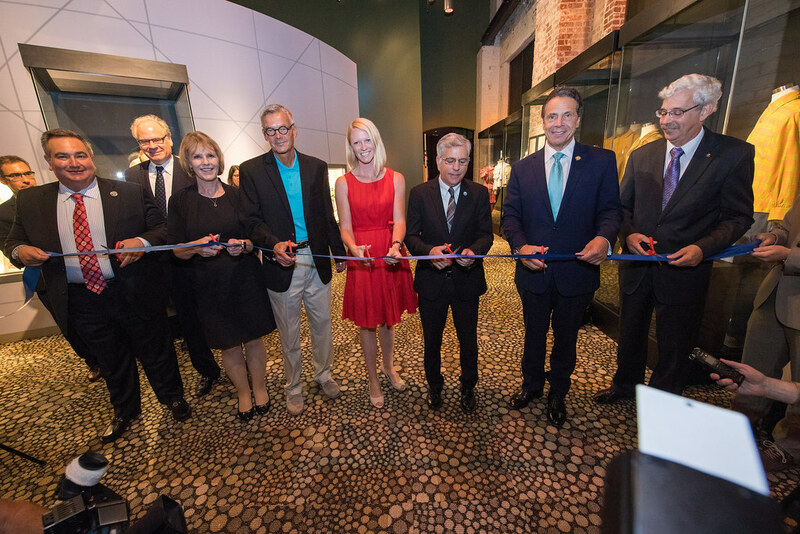 My thanks go out to Governor Cuomo for his commitment to this project and the future of Jamestown, to the National Comedy Center's visionary and tireless leaders, and to state and local officials for supporting, facilitating and assisting at every turn. This amazing effort is a triumph of confidence and collaboration and has launched the start of a new era for our community." Chautauqua County Executive George Borrello said, "I am so excited to see this unique, state-of-the-art attraction become a reality here in Chautauqua County and in Lucille Ball's hometown of Jamestown. We are proud to be the home of this entertaining and interactive experience that is an amazing tribute to the art of comedy. I want to thank the governor and Empire State Development for their commitment to this truly transformative project."